Watch Nick show us his area of expertise in this new series. 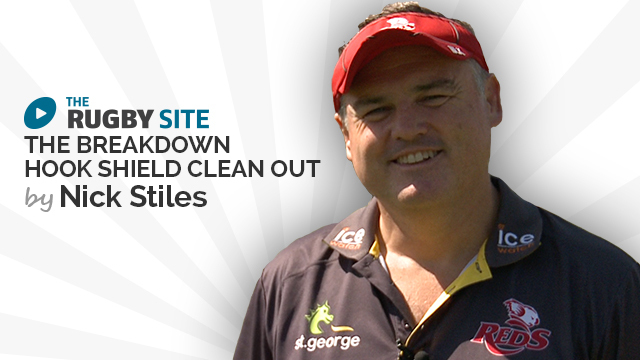 Watch Nick explain how to clean out effectively, using key elements. Enjoy! An incredible analysis of basic technical points quite often overlooked. Why can’t see the video? Great explanation and understanding of how to clean-out. Great drill starting from a controlled start to an effective rush/thinking drill. Good basic instruction with technique being continually taught. Good Video. Great drill, will explained,great teaching method, which was clear to see. Great drill, very well explained. I like the simplicity of this drill and Coach Stiles’ explanation and desire for correct technique at slower pace rather than brute force. It is good to see the pros not getting it right on every rep. It helps me to teach my young players to focus on the fundamentals. It helps to instill our mantra of the basics of Rugby apply to all levels. Thanks again. Good simple drill, great to see Nick put an emphasis on the footwork. i have seen other similar drills without this important point.I will use this drill with my players. Clear and concise, good to see Nick as a top flight coach.